Local poet memorializes her former boss, Alfred Peet. Silvia Matheus. Laura Glen Louis. "I've written in Berkeley. San Francisco. Sea Ranch. Shanghai. Lenox. Lummi Island" — population 822, off Washington State's southern coast. "Maui. Trinity Alps. Paris. Munich. Malaucène" — a biscuit-colored, tile-roofed, 10th-century village in Provence. She hasn't written only in beds, but also "on trains. In hotel/motel/pensione bathrooms while the family slept. Waiting rooms. Parking lots, waiting for lacrosse games to start." On laptops? Think again. Looking back, Louis sees a long series of black Pilot pens, scribbling "on napkins. Coasters. Paper towels. Symphony programs. Comp books — mostly comp books." Perusing the yield of one typical day, chosen at random, Louis recounted having written on July 9, 2009: "Hermaphroditus. Son of Hermes and Aphrodite. Fused with the nymph Salmacis, who alas, not only lost her self, but her name." and declared the coffee's pedigree. "My first response to the world is as a human being," Louis said. 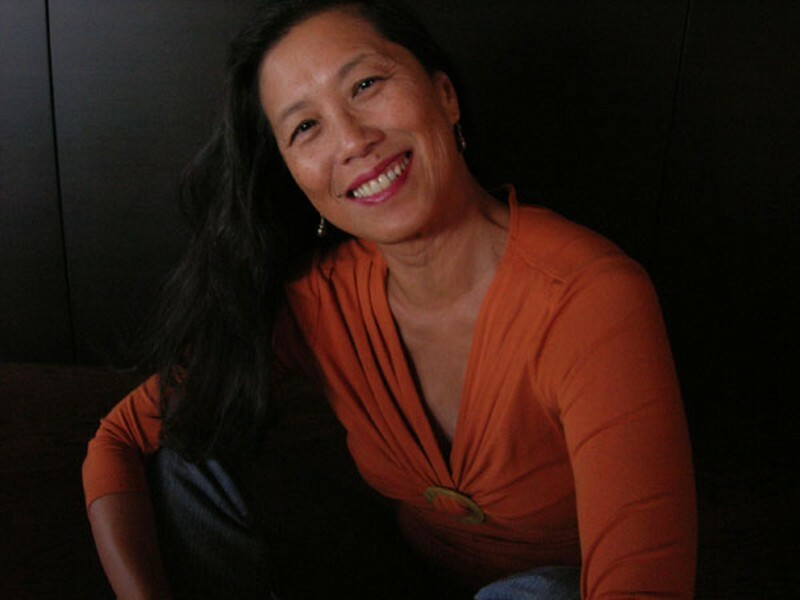 "Everything else comes after: being a woman, of a certain age, an immigrant, Chinese, Cantonese, all secondary. 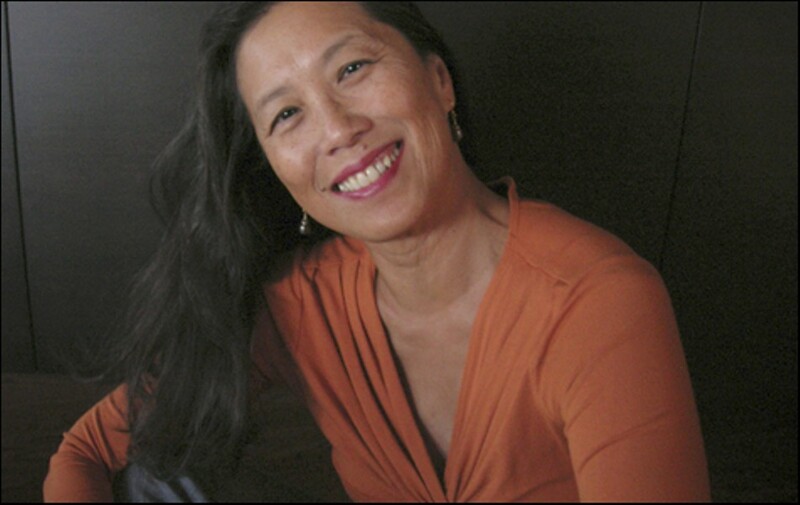 That said, I bring an Asian sensibility to my work: subtlety, understatement, being elliptical, leaving things unsaid, no easy answers — sometimes no answers at all." Currently, she's working on several projects at once: another poetry collection; an art-song cycle with local composer Larry London; an illustrated book based on her poem "Longing for Geometry;" a novel about art, a fire, and "the unavailable man;" and a nonfiction book about "a murder, a dog, a very long walk." In addition to her stint at Peet's, "I've been a claims girl, receptionist, store manager, waitress at the No Name Café, film editor," Louis said. "I worked for one day as an extra on Hammett, and was acutely aware of my own anachronisms. I just didn't have it in me to shuffle, head down, in coolie clothes. ... I signed on just to meet Wim Wenders, who made The American Friend. I ended up on the cutting-room floor — that is, the footage I was in ended up there."